The station building is extant and largely unaltered and is now a private residence. Whilst the porch has been partially boxed in, the canopy has been completely enclosed, filling the recess. Part of the down platform nearest the road survives, but the up platform was demolished before 1971 and the land returned to agriculture. Behind the station building there is one remaining concrete gate post at the entrance to the goods yard. Notes: The station was originally called Burnby. Although the York - Market Weighton line opened on 4th October 1847 it is unclear when Burnby station opened. It might have been on the same date as the line, although it did not appear in public timetables until June 1848. As part of the NER policy of renaming stations whose name might have been confused with that of another station, Burnby was renamed Nunburnholme on 1st January 1873 in case it should be mistaken for Burnley in Lancashire. 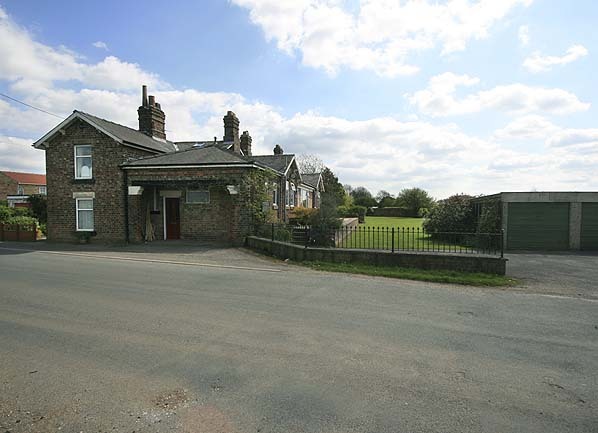 Burnby village was less than half a mile from the station while Nunburnholme was two miles away! Nunburnholme had staggered platforms: the down platform was south of the level crossing whilst the up platform was on the northern side. 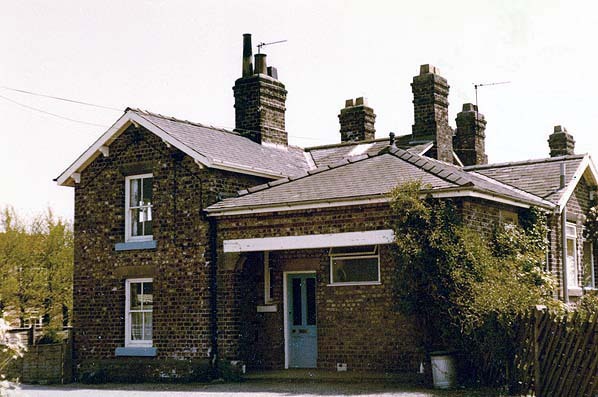 The main station building, which incorporated the stationmaster's house and booking office, was at the north end of the down platform adjacent to the level crossing. Although designed by G T Andrews it was not typical of his work and was unique to this line. It comprised a long rectangular two-storey brick house, end-on to the road, with twin gables on both sides. 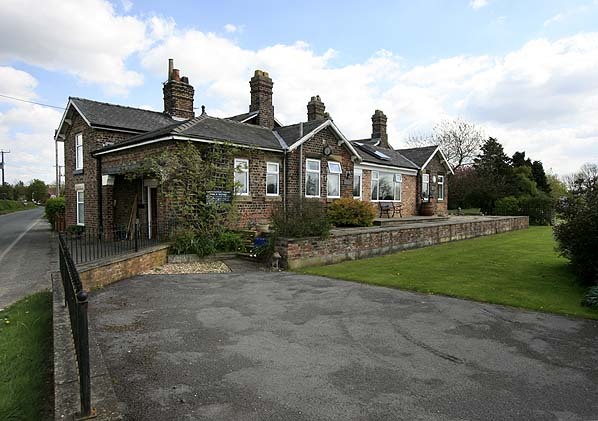 In front of this was a single-storey twin-gabled extension containing the booking office and waiting room. There was a recess between the two gables with an overhanging roof which formed a short canopy. The building had a small porch facing onto the road giving access into the booking office, perhaps provided for passengers travelling from Water Priory. There was a waiting shelter on the down platform but initially there was no shelter on the up platform, which caused much local controversy. In December 1847 the directors commented on its absence. Nothing was done to prevent York passengers from having to wait in the rain until, in December 1850, it was decided to dismantle one half of the waiting shed at the adjacent Shipton and re-erect it at Burnby. onto coal drops. A weigh off ice and weigh bridge were sited at the entrance to the goods yard behind the main station building. In 1911 the population of the station’s catchment area was 869. 5,338 tickets were sold that year, and the main freight handled was barley with 590 tons being dispatched. In 1913 104 wagons of livestock were loaded at the station. Nunburnholme was never a busy station, and both goods and passenger services were withdrawn from 1st April 1951. 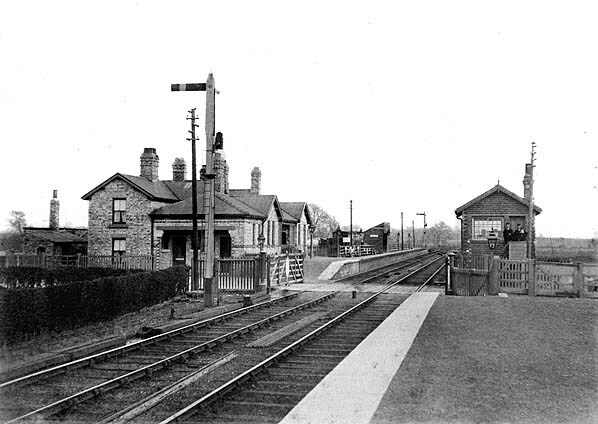 Nunburnholme station looking south east c.1900. 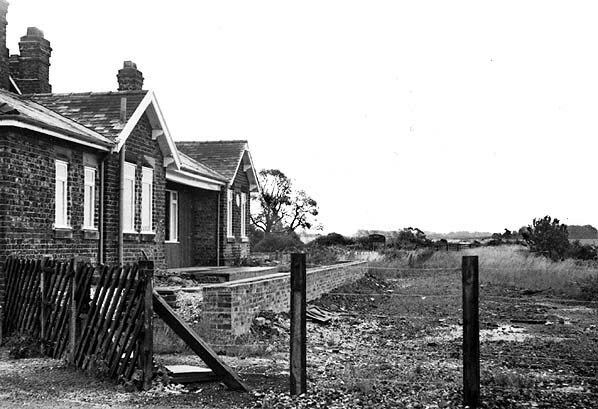 Nunburnholme station looking south east c.1950s. 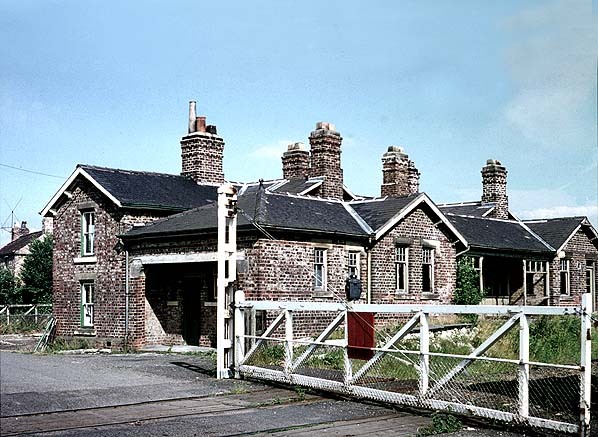 Nunburnholme station c. late 1960s. 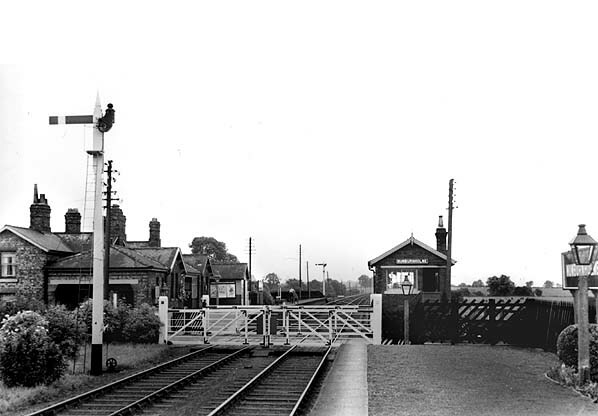 Nunburnholme station looking south east in August 1971. 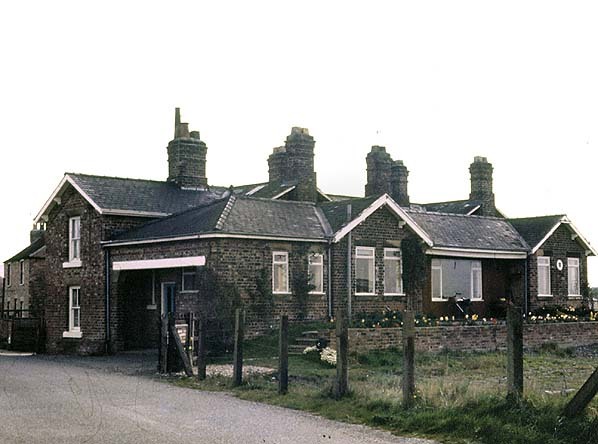 Nunburnholme main station building in April 1976. Nunburnholme station entrance in May 1978. Nunburnholme down platform and main station building in May 2010. Looking south east across the site of the level crossing towards Nunburnholme station in May 2010.